When you’re not feeling safe in your Longmont home or business, who are you going to call? Or what if you lock your keys in your car, your security system goes haywire, or you can’t get your safe to open despite entering the correct code? At Colorado Security Products (CSP) we would be more than happy to help you deal with all of these issues. 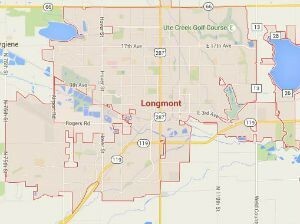 We want you to be happy in Longmont, and that means that you will feel protected and secure there. 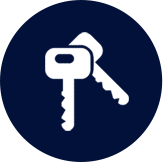 So many of our Longmont locksmith calls are for our emergency locksmith services. We know that, sometimes, things don’t work out the way you had planned. You might end up locked out of your home or your car, for instance, when you badly need to be somewhere. Or maybe you enter the right code on your security alarm but it goes off anyway. There’s always a chance that you forget the password to your safe or that it no longer works. These types of things happen all the time and they aren’t predictable. Many times, they happen at the least convenient time possible, like in the middle of the night, on a holiday, or over the weekend. That’s why we always have a locksmith available, no matter what time of day or night it is or whether it’s a special day. We’ll always get to you quickly and resolve your problem so you can get back to your normal life. 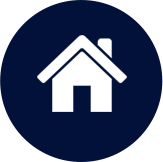 We never want you to feel insecure in Longmont, which is why we will help you design the security solution that you need to feel safe and like you are being responsible with what you have. Whether the system is for a home or business, we’ll help you get whatever you need so everything is working just the way you need it to. Do you have papers, weapons, or other valuables that you want to keep away from prying eyes and in a secure location? We’ll help you find and install a safe that will let you protect everything you want to protect. In fact, we’ll even help make sure that your safe is the right size and weight, and that it unlocks with your preferred mechanism (lock, keypad, etc.). Maybe you’d like to monitor who goes in or out of certain doors, or know who is in what areas at all times. We can help you choose a camera or cameras that allow you to see everything you need to see, anytime you want to see it. We’ll even install your cameras so you can get the most out of each one, and we’ll make sure you know how to use them, too. Whether you need a Longmont locksmith or a security professional, we will help meet all of your security needs. We want you to be as happy being a part of the Longmont community as we are, and we’ll do everything we can to achieve that.